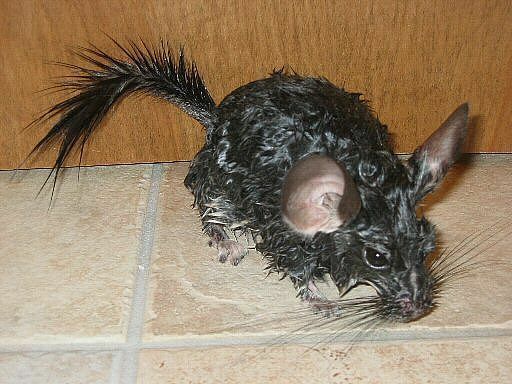 wet chinchilla after bath. Chinchillas normally take dust baths, but this one needed a wet bath, apparently. And no, he did not die or explode contrary to much false information online.. Wallpaper and background images in the Animals club tagged: chinchilla bath. Chinchillas normally take dust baths, but this one needed a wet bath, apparently. And no, he did not die or explode contrary to much false information online.